Spinach originated in Persia, but is now produced all over the World. Spinach is a bit complicated when it comes to bone health. It’s loaded with Calcium, but it also contains oxalates that make it hard for the body to absorb that calcium. However, the National Osteoporosis Foundation says one of the benefits of Spinach is that it’s a valuable source of vitamin K, which is proven to increase bone density and can even prevent fractures. Eating spinach may benefit eye health, helps to reduce stress, and also reduce blood pressure levels. Since I’m drinking Spinach Juice from last February 17, 2018 by the time of writing this article(April 15, 2019) my eyesight is improved a lot. Not only this, I loose 27 Pounds with this Juice and by making more improvements in my daily diet. I also eat Fruit Salad everyday. Spinach health benefits includes, aiding detoxification, supporting weight loss, keeping eye healthy, supporting strong bones, reducing hypertension, promoting good sleep, boosting Immunity, promoting youthful health and also Spinach helps to loose Weight. There are many ways to prepare Spinach and add in our daily diet. You can buy it canned or fresh, and then eat it cooked or Raw. It is delicious either on its own or in other dishes; such as Saag. The Green color of spinach is not just a color, but it contains a special chemical called chlorophyll, which has anti-inflammatory properties and can be used to detoxify the body from any toxins that affect it. 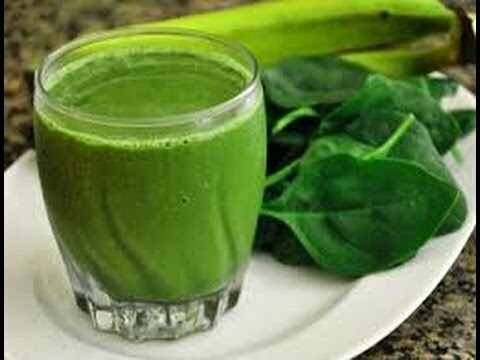 You can enjoy spinach not only in food but drinks as well; such as Spinach Juice and also we can use it in our Smoothies. Spinach is an excellent source of many Vitamins and Minerals. It is loaded with tons of Nutrients in a low-calorie package. Dark, leafy greens like spinach are important for skin, Silky healthy Hair, and bone health. Spinach is a versatile vegetable and can be eaten raw or cooked. It is available fresh, frozen, or canned. Here are some tips to try to incorporate more Spinach into a daily routine. For example: Add spinach to pastas, Soups, Smoothies, Rice, Saag and Missi Roti Dough. Recent studies continue to underscore the amazing versatility of spinach, because this leafy vegetable is rich in water-soluble vitamins, fat-soluble vitamins, minerals, and a wide variety of nutrients. There are many different ways to incorporate Spinach into your meal plan and enjoy a variety of nutritional benefits. You don’t need to spend hundreds of dollars on products to get healthy hair. Spinach has high amounts of vitamins A and C, both of which act as natural beauty products. Vitamin A helps produce a substance called sebum that lubricates our skin and hair.